The first official Tour event in Japan will occur less than one year prior to the 2020 Olympics. In 2019, and for at least the five years after that, the PGA Tour is headed to Japan. 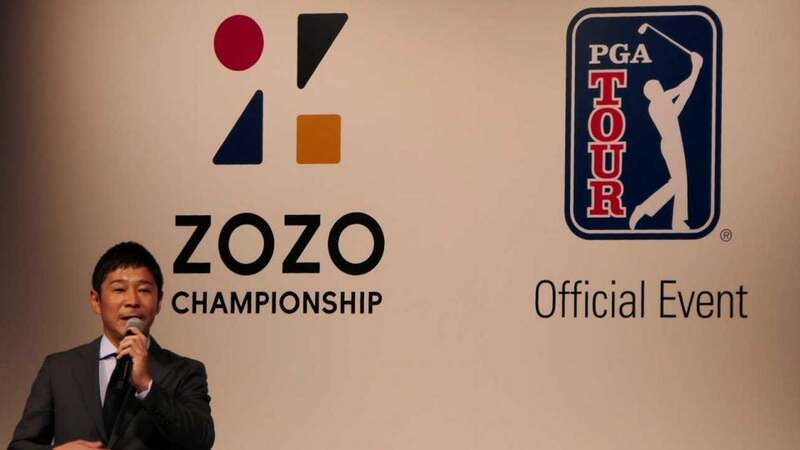 The ZoZo Championship will debut next fall, Oct. 24-27 at Narashino Country Club, just outside Tokyo. That much was announced by the Tour Tuesday in Tokyo. Signed on for six years, it will be the first official PGA Tour event held in Japan and will feature a $9.75 million purse. The Zozo will replace the CIMB Classic (held in Malaysia), and will round out a 3-tournament Asia Swing that features three gigantic purses alongside the CJ Cup and the HSBC Champions World Golf Championship. According to a press release from the Tour, CIMB is adjusting it's sponsorship. Zozo, a clothing retailer, is owned by Yusaku Maezawa, who recently made headlines as the first person to pay to join Elon Musk’s trip around the moon. He discussed the two together Tuesday. "I think this will be the first PGA Tour sponsor that is going to the moon," Maezawa said. He’s probably right. According to the release, the event will feature a field of 96 players (78 from the Tour, 10 from the PGA Tour Japan and eight sponsor exemptions. Why Japan? It’s easy to see a connection between the Tour and the 2020 Olympics, which will be hosted in Tokyo. The Tour also opened offices there in 2016. RELATED: BEFORE HIDEKI MATSUYAMA, THERE WAS JUMBO OSAKI Many great players from Japan have made their way on to the PGA Tour. First there was Isao Aoki (the current PGA Tour Japan president) and Jumbo Ozaki. Now, there's Hideki Matsuyama, the clear-cut top player in the world from Japan. Matsuyama was on hand for the unveiling of the event. Regarding the sponsor's hopeful trip around the moon, Matsuyama said "I would love to go."